View cart “Archetype Axis Mundi Churchill” has been added to your cart. The Arturo Fuente Gran Reserva Flor Fina 8-5-8 Claro Cigars come in a lighter Candela wrapper making for a more mild smoke. The Arturo Fuente Flor Fina 8-5-8 Claro is one of the best sellers of the Arturo Fuente brand. This cigar is not bitter or harsh, and features excellent construction and well balanced flavors. 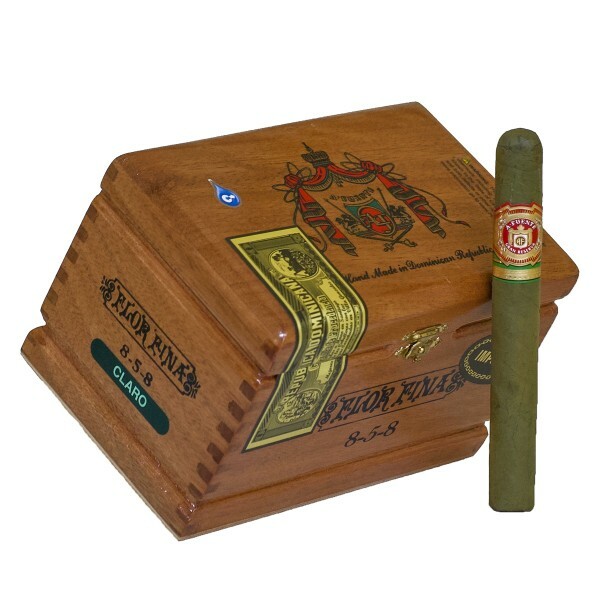 These cigars represent four generations of tradition, pride and sacrifice for the Fuente family. The 8-5-8 Flor Fina Claro is a well-proportioned cigar with an attractive. The smoke is mild, cedary in character and well-balanced. These cigars are smooth, full flavored and have been rated to be one of the best smokes the Dominican Republic has ever produced.